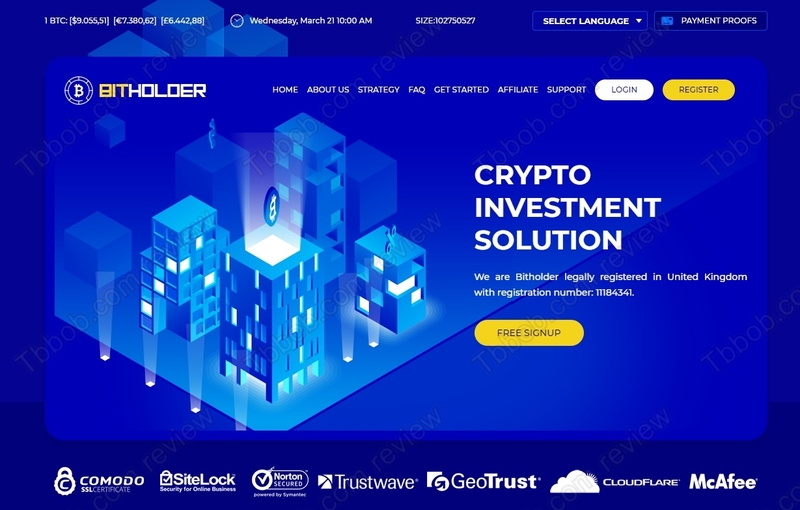 Bit Holder Limited supposedly is a company that provides investment services focused on cryptocurrency trading and mining business. Bitholder offers three investment plans with daily returns ranging between 7 and 15%. You allegedly can increase the income by referring new clients, 7% percent on deposits is offered across two levels. So, is this a genuine investment opportunity? In reality Bit Holder is an investment scam. 15% daily (450% monthly) is a totally absurd number. Only scams show this kind of number. Bitholder is in fact a Ponzi scheme. This means that there is no real business activity going on, new deposits are used to pay out profits. This obviously works only until there is not enough new deposits to cover withdrawals. Then the scam collapses. Bitholder tries to gain credibility with a company registration in the UK. But it means nothing. First of all, it is only a tax registration and is only one month old. But the most important thing is that Bitholder is providing investment services, which is a regulated activity not only in the UK. So, Bitholder needs a licence from the Financial Conduct Authority. But it hasn’t got one, it is an illegal investment service. 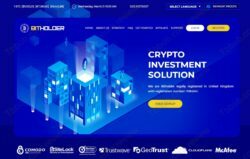 Bit Holder is an investment scam based on a Ponzi scheme, it is going to collapse very soon, stay away from it! It is possible to make money in crypto trading, but not 15% per day. You can try a free demo to see how it works and what is possible. Also, remember that trading is risky, you can make, but also lose money, so be careful.